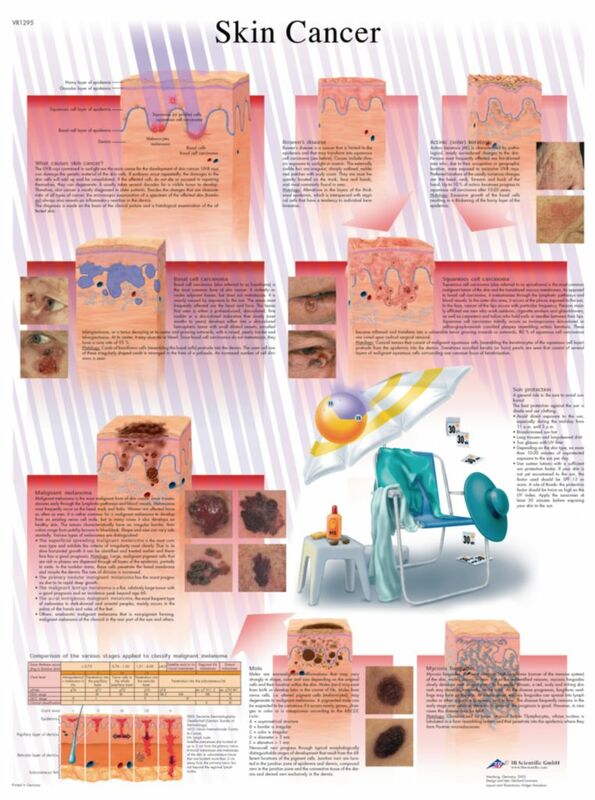 This colorful anatomical skin chart details the anatomy and pathology of skin cancer. 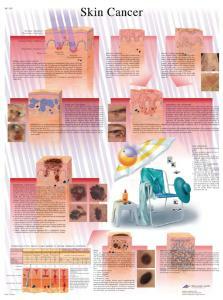 The anatomical chart covers the causes, stages and anatomy of skin cancer. Ways to protect your skin from the sun for skin cancer prevention are also detailed.